Do you enjoy making cards? 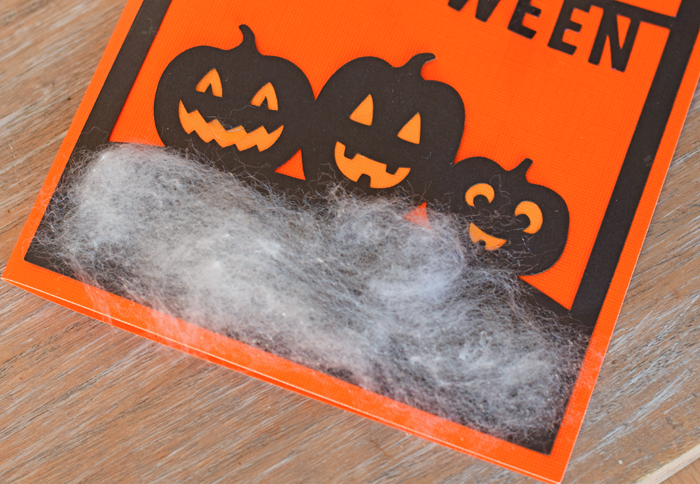 This Happy Halloween Greeting Card is cute and spooky all at the same time! This post is sponsored. Open up Cricut Design Space and find this project cut file. My direct link is here, but you may need Cricut Access to be able to snag it without paying. 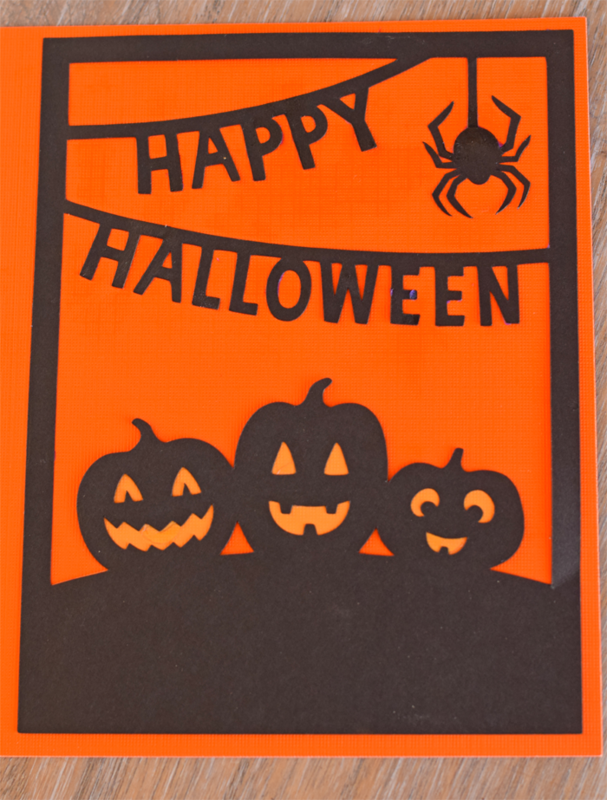 Cut the card pieces from the orange, black, and light orange or yellow card stock. 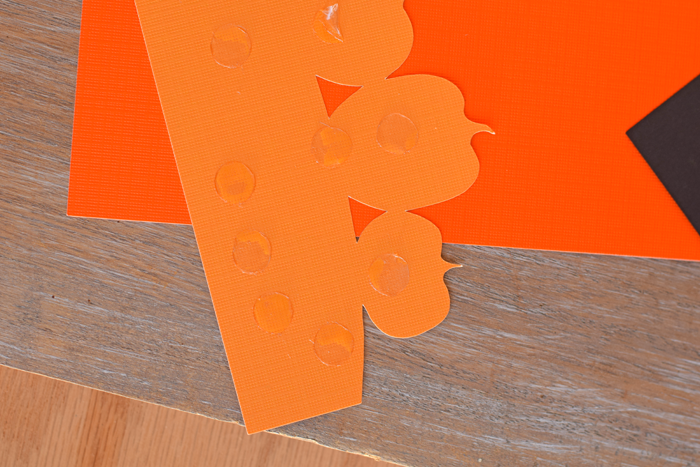 Apply adhesive to the light orange pumpkins and attach them to the back of the black jack o’lantern piece. Using the same technique, attach the black card stock to the orange card. Place adhesive along the bottom of the black card stock. 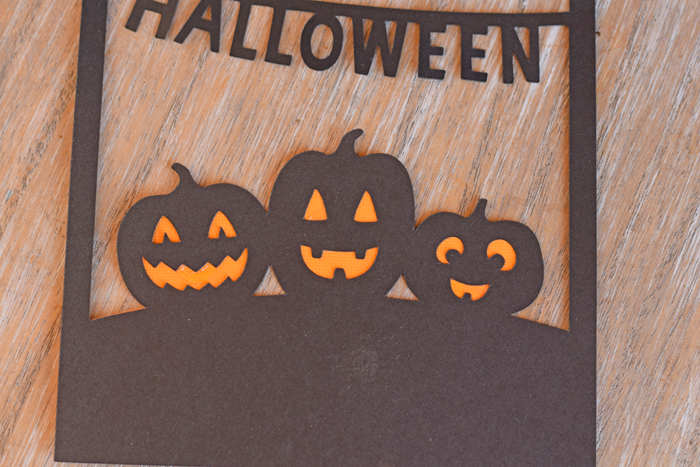 Welcome to the Halloween CardMaker Hop! Be sure to check out all of the following festive projects and enter the giveaway over! Create It Go! <—Head here next! 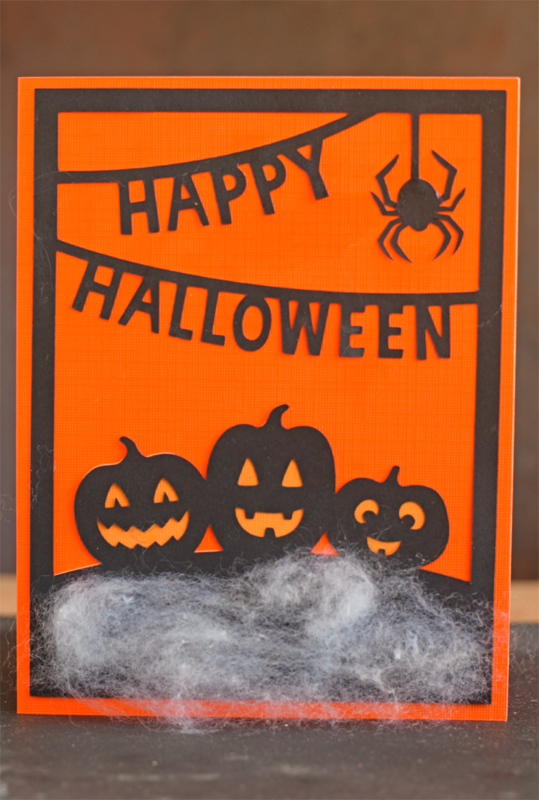 I love how you added the faux spider web material to the card to add some fun texture. Very cute card! Thanks for being a part of the hop! 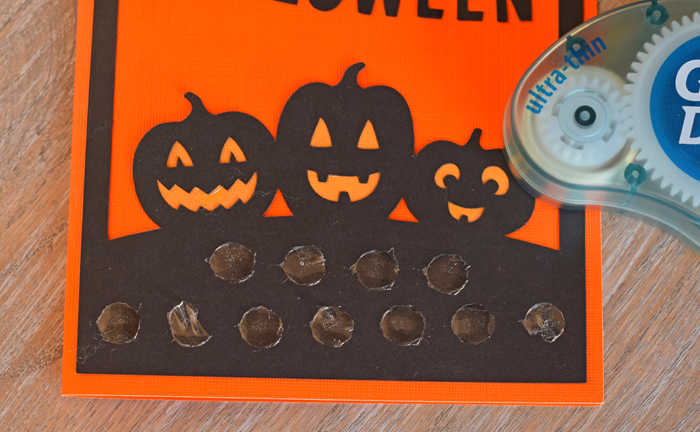 This is a perfect Halloween project! Love your great pumpkin card. I LOVE THIS CARD! So so much. Cricut and Glue Dots are a true crafty match! 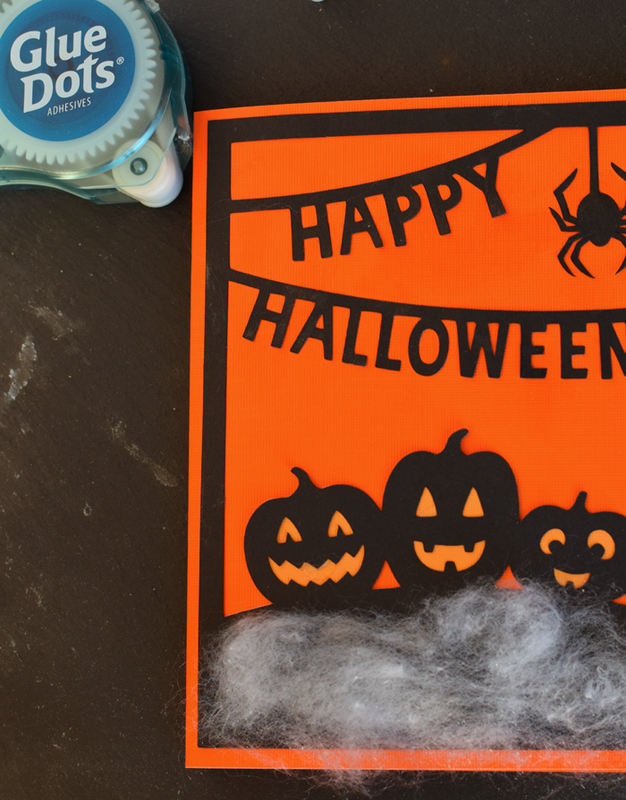 That spider web totally makes this card pop! Very nice! I love that trio of jack o lanterns! What a happy card! Just makes me smile! It’s so bright and colorful. Love the webbing at the bottom. fun elements on the Cricut. Very cute. I like how you used the glue dots to attach the spider web. Awesome card! 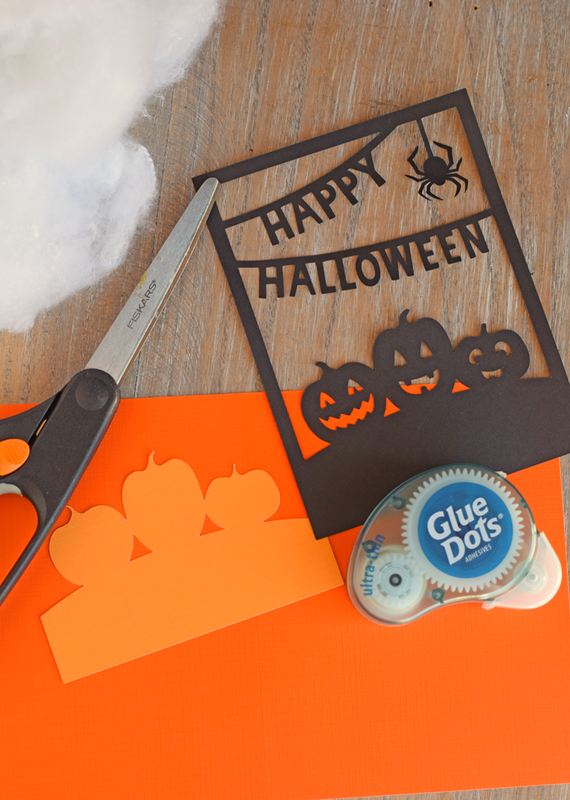 Love the Glue Dots for attaching all kinds of things!